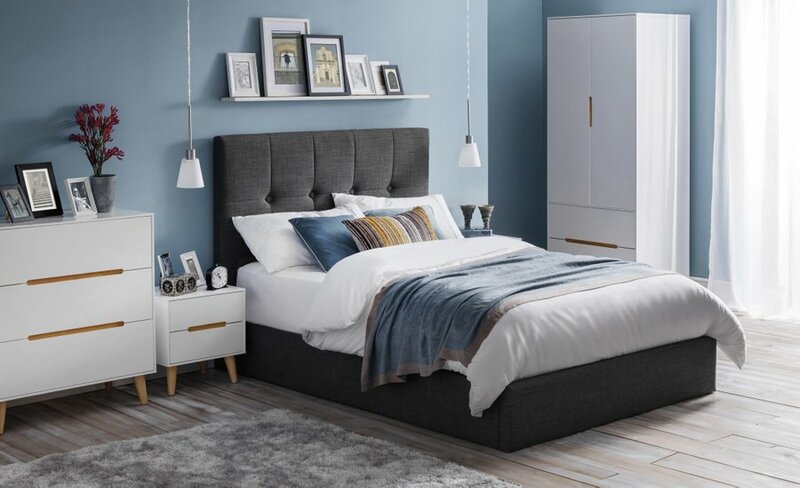 Attractive bedroom furniture package with a retro Scandi design. 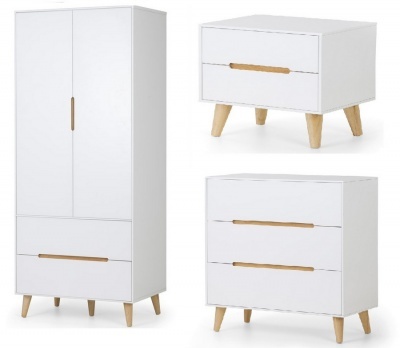 Includes the Alicia combination wardrobe, bedside table and three drawer chest. 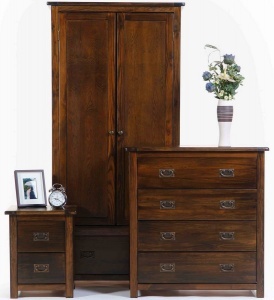 Practical and stylish this set provides you with plenty of storage space. Two useful drawers at the bottom of the wardrobe, two drawers in the handy bedside table and three in the chest o drawers. Inside the wardrobe you will find a hanging rail. Classic Scandinavian design with angled legs, recessed handles and clean lines. Matt white finish with oak accent. 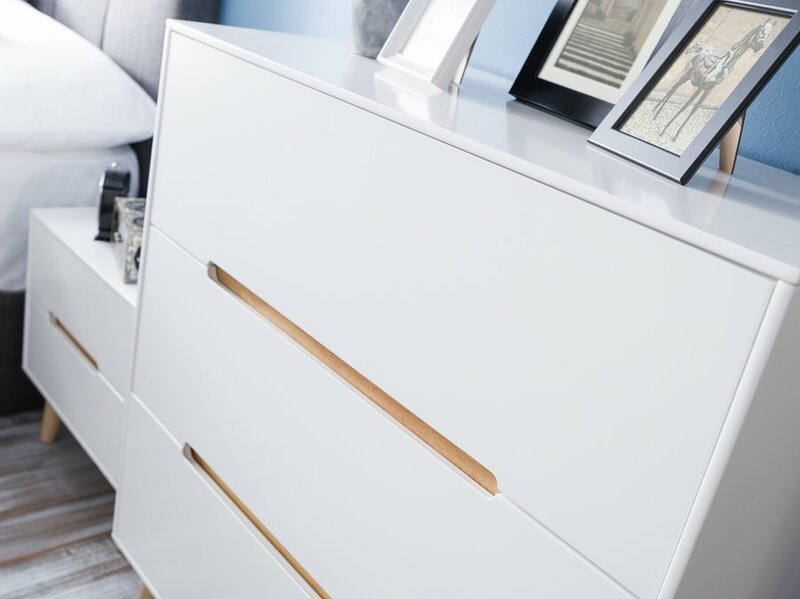 Constructed from lacquered MDF with oak effect detailing. 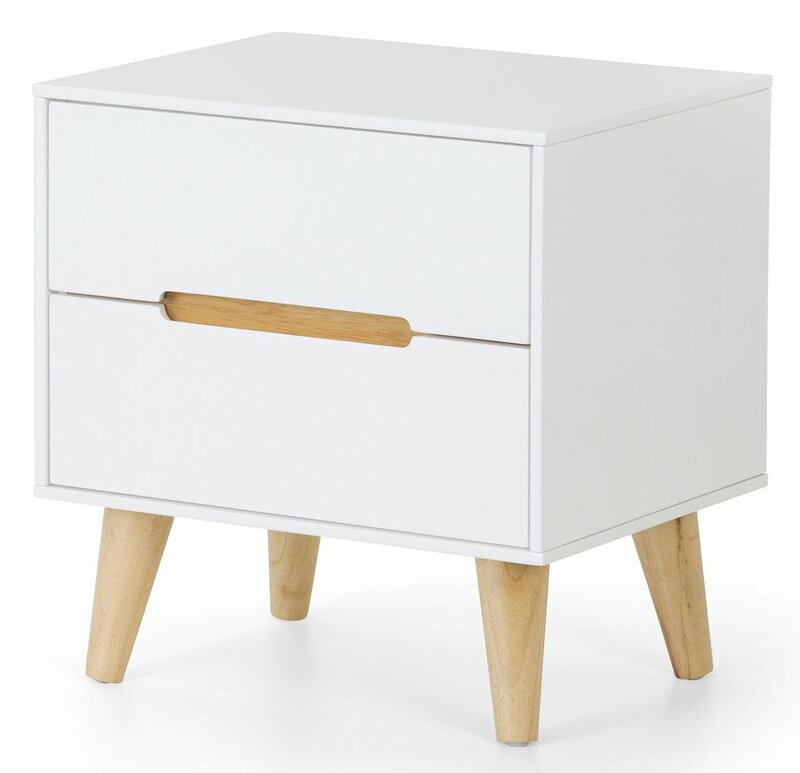 Bedside table: H47 W45 D35 cm. 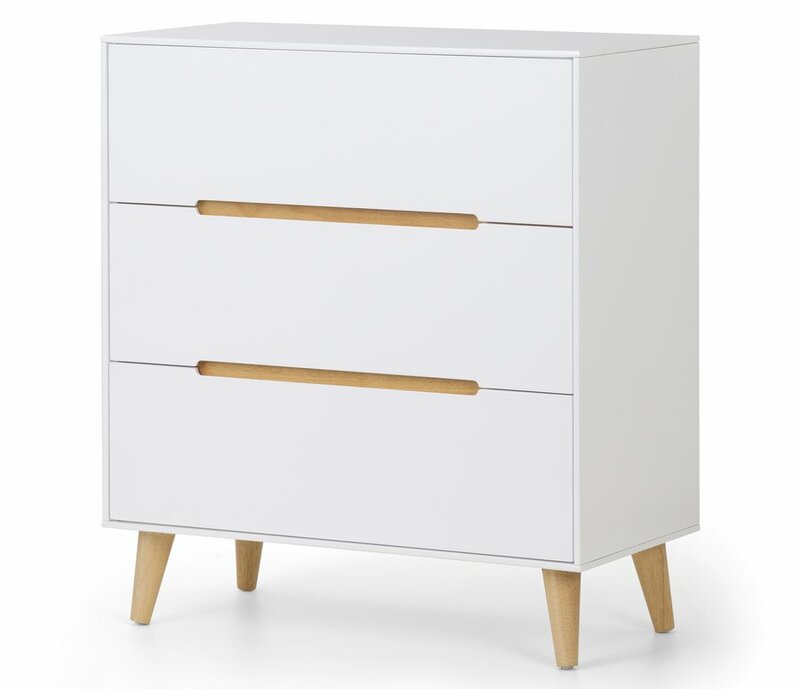 Three drawer chest: H89 W80 D40 cm. 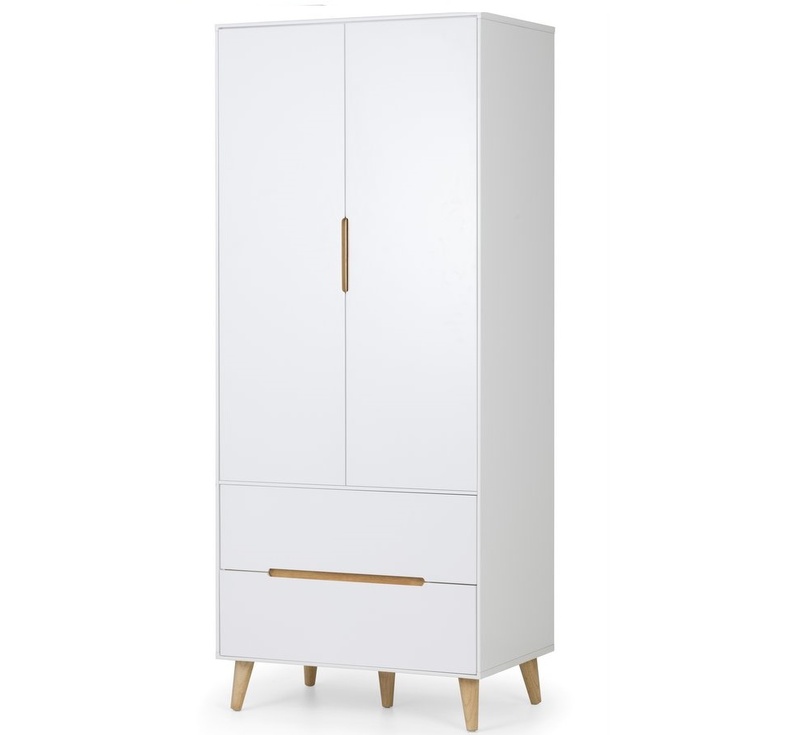 Combination wardrobe: H178 W80 D53 cm.